Employees are your organization’s greatest resource, but if they are not being effectively supported and directed, you may not be receiving their maximum contribution to your organization’s mission and goals. Cliff Jones, Consulting Partner at Capacity Building Partnerships, offers a holistic approach to supervision. He has helped hundreds of supervisors in nonprofit settings develop skills and supervision methods that really make a difference. You will explore the most essential elements of a supervisor’s role, including setting goals, giving and receiving feedback, addressing challenges, providing support, and creating development opportunities that promote individual and professional growth. Cliff will address the specific challenges of supervision in the nonprofit environment, highlight participants’ real experiences in supervising staff, and help you identify concrete goals and changes that you can implement with individual staff and teams. You’ll gain strategies to address unclear expectations between staff and supervisor, ambivalence about authority, low pay, and heavy workloads. Whether you have the title of supervisor or not, this workshop will help you develop the techniques to build staff ownership, encourage joint problem-solving, and help staff experience success and satisfaction in working together. “Effective Supervision” focuses on practical applications to build upon the supervision skills you've already developed or are beginning to develop, and learn new approaches to make a difference in your organization. This workshop is designed for both new and experienced supervisors in nonprofit organizations. The session will include techniques and strategies for program managers, unit leaders, supervisors, and lead workers. This event focuses on Human Resources & Operations and Leadership & Culture. For additional resources in this category, visit: Human Resources & Operations and Leadership & Culture. 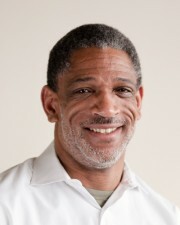 Cliff Jones is a Consulting Partner with Capacity Building Partnerships and a human rights activist with over 30 years’ experience in social services, community education, and human rights advocacy. He has experience as a frontline staff, supervisor, project manager, and executive director. He is co-founder of Tools for Diversity, a comprehensive curriculum led by a multi-cultural team that addresses problems caused by discrimination and prejudice and supports building culturally competent organizations. In-Kind Sponsor: Ecotrust - Thank You! Generous in-kind sponsorship from Ecotrust - Thank you! NAO Members must be logged in to receive discounted rate when registering.